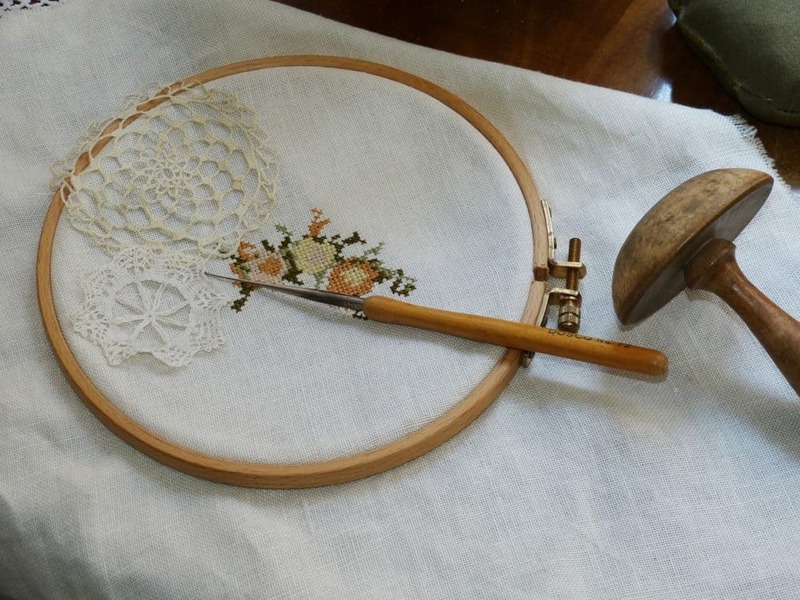 Learn about 10 different types of needlework crafts from quilting and patchwork, to less common types of needlework such as crewel embroidery. The term “applique” derives from the Latin word “applico” when means “I apply”. Applique is a type of sewing technique where one takes one material and sews it on top of another material with the goal of creating some type of pattern or design. This can be accomplished by hand or machine. Crewel embroidery (also known as crewel work) is a type of decorative art that involves the embroidery of a material by using crewel which is a type of two-ply wool yarn. Traditionally, this technique is done on linen twill. Crochet is a patterned fabric created by looping material with a hooked needle. 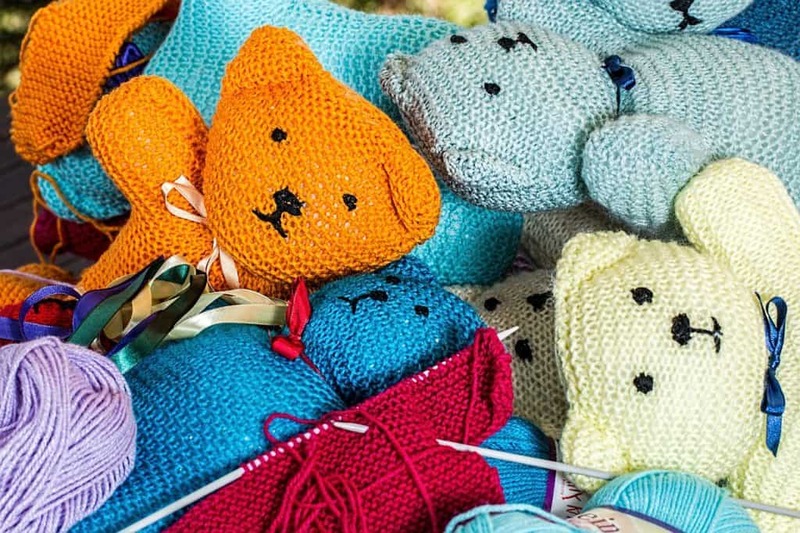 The most popular material used to crochet is yarn. The interlocking of the loops is done by using a crochet hook. Actually, the word “crochet” comes from the the french word “crochet” which means “small hook”. Cross stitch is a type of sewing or embroidery technique that involves forming a stitch by crossing two stitches with each other. The crossing of the stiches forms an “X” shape that when multiplied can form an image or design of choice. Embroidery is the process of creating designs upon a material like woven fabric, paper, leather and more by using a needle. This can be done by hand or by machine. Sometimes other materials are combined like beads and sequins. Ribbon embroidery is a technique of stitching done with ribbon. Traditionally narrow, silk ribbon is used to create the designs. The most common type of ribbon embroidery designs created are floral. 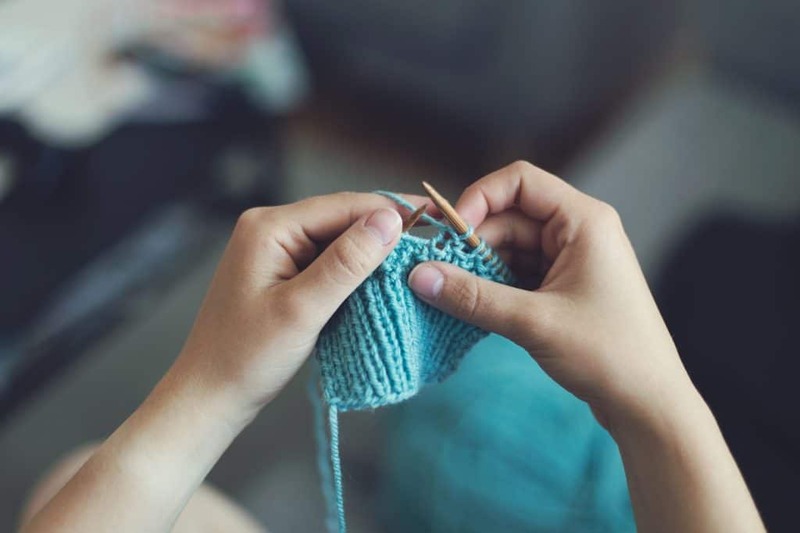 Knitting is the art of creating a two-dimensional fabric by interlocking loops of yarn. This can be done by hand or machine. The two most popular varieties of knitting are warp knitting and weft knitting. The oldest knitted material was cotton socks that were found in Egypt during the first millenium AD. 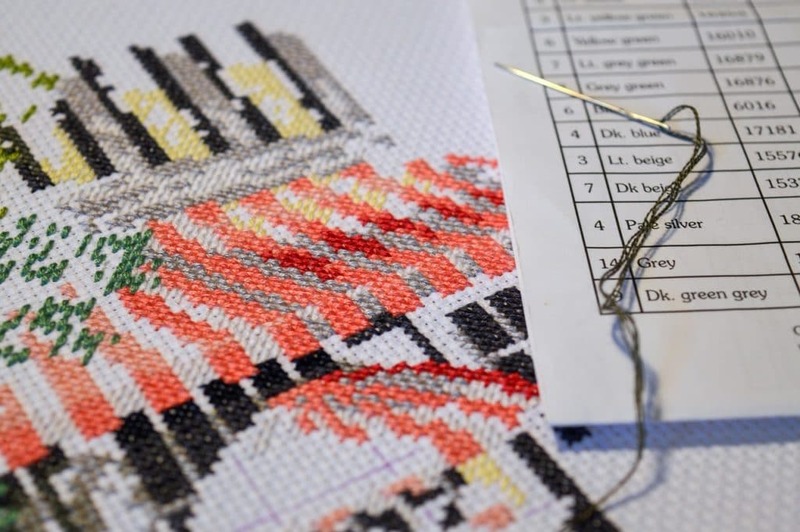 Needlepoint is the process of creating images or patterns with closely sewn stitches. The design is sewed onto a stiff canvas. Because of the durability, this technique is often used to create items like ornaments and eyeglass cases. 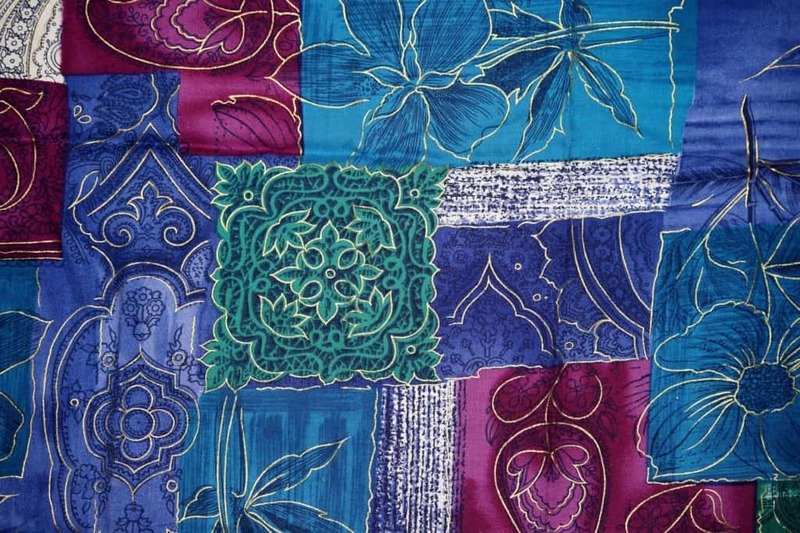 When small pieces of fabric are sewn together at the edges to form a design or pattern, it is called patchwork. The pieces are often different in color and shape. The patches of fabric can be arranged to form a picture but are sometimes randomly placed..
Quilting and quilt art is the technique of using two layers of fabric, usually with a soft material placed in between the layers and then stitched together. 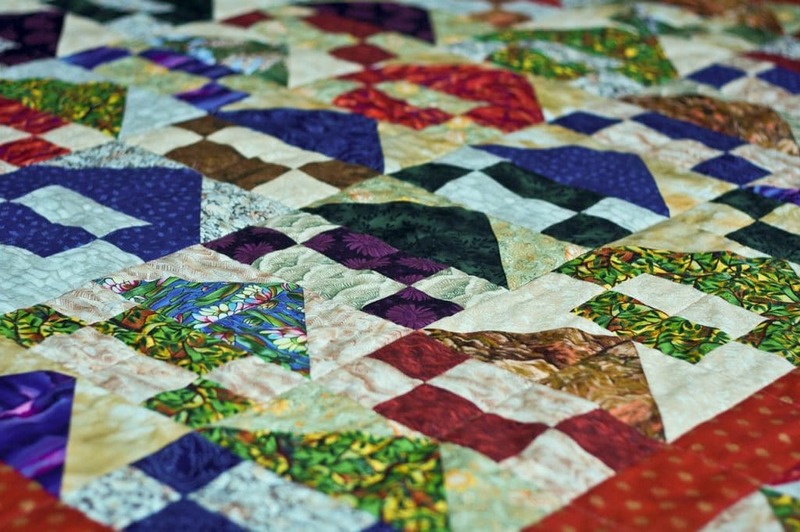 Some quilts are hung as art and some are used for more practical reasons like keeping warm.